Blockchain Business Conference is a two-day event taking place in Vizag at the heart of India’s Fintech capital, Andhra Pradesh. 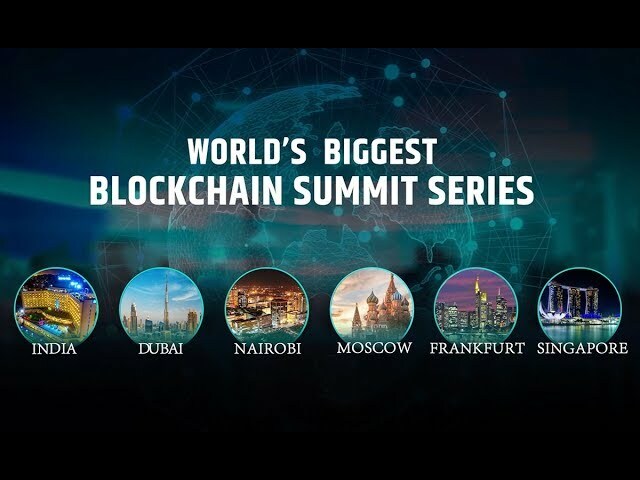 It is hosting an exclusive group of regional and international blockchain experts, startups, corporates, leading FSI executives, regulators, entrepreneurs, policy makers and academics from around the world – who will explore blockchain technologies, its applications and how it will impact the financial services industry. The conference will also feature discussions covering international and regional case-studies, and global best practices in blockchain technology implementations which will be shared among the delegates. Fintech Valley Vizag (an initiative of the Govt. of Andhra Pradesh), is hosting the conference with support from the Ministry of Electronics and Information Technology, Govt. of India. It is taking place on 9th – 10th Oct 2017 at the Novotel Hotel in Vizag, India. Closed-door discussions deliberating on blockchain solutions to key issues facing across sectors. Witness international and regional blockchain experts talk about the pros and cons of adopting blockchain technologies, especially in the Indian subcontinent. Be a part of panel discussions, tech-talks, fire-side chats, and debates on blockchain potential to reshaping the global financial system. Closed-door meetings to share your blockchain ideas while connecting with your peers. Fintech Valley Vizag invites experts from the Fintech ecosystem, government officials and CXOs of enterprises for closed-door meetings to discuss and share ideas on blockchain applications in key areas including cybersecurity, regulatory, trade finance and logistics. Startups with bright and innovative ideas in blockchain applications can compete in three separate streams to win an opportunity for a paid pilot at the sponsoring enterprise, and a seed grant of INR 5 lakhs from the state government. Present your blockchain solutions to SMEs, startups and government agencies. Connect with prospective business partners in an exclusive innovation-focused conference space with access to tech facilities, interactive sessions, networking areas, breakouts and meeting space on the reservation. Be a part of 100 Open Startups global ranking system that gets you connected with large corporations. Apply for one of the grand challenges, get evaluated, receive feedback from startup community and take part in pitch competition. The results will get you ranked among global startups and are heavily appraised by investors and covered by media. All registered startups have an exclusive opportunity to request a face-to-face meeting with their choice of corporate. Dedicated business analysts will then contact shortlisted and qualified startups to arrange private meetings that will take place at the event. Further conference calls or follow up meetings will also be arranged when necessary. A workshop for students is designed to take them through the world of blockchain technologies, its applications, and opportunities. It consists of keynote talks, use-case presentations, demos, hackathon opportunities, and academic startup challenge. It is taking place on 8th October 2017 at GITAM University, Visakhapatnam. The government of Andhra Pradesh is hosting a series of 18 Blockchain themed Hackathons in 18 selected colleges across the state in association with Fintech Valley, Vizag, and Hackamania Technology Pvt. Ltd. The program is intended for the technical skill development and tech hiring of the students in the state via practical applications, and rigorous mentoring by seasoned blockchain mentors. Visakhapatnam: Known as ‘The Jewel of the East Coast’, Vishakapatnam is one of the 100 fastest growing cities in the world. Natural harbours, resources and economic benefits make it a prime destination for global businesses.